I just wrapped up a module for the 2013 YTT200 and am whirling with all the juices that come naturally when we surround ourselves with love, laughter, good food, nature, community and yoga. 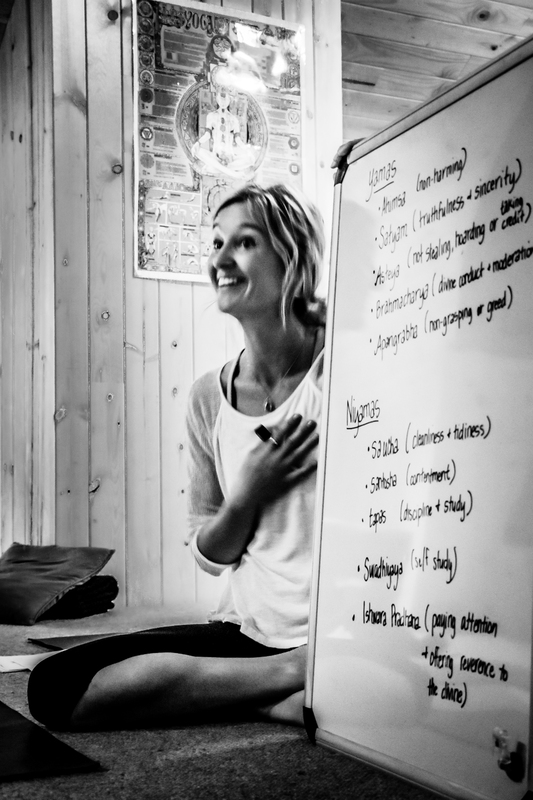 (And don't forget… if you aren't in the Yoga Teacher Training… don't let it stop you from checking out the retreats…. they have proven to be a true joy for both aspiring teachers and non-teachers alike). That being said, the holidays are right around the corner (any dreaders out there?) and sometimes family or pressures, or gotta get it, buy it, make it, eat it, like it, fake it…. all come tumbling down in on us… leaving us in a puddle of food coma and overconsumption come January 1. First things first: Set your day straight. Start out Thanksgiving gracefully and with intention. Begin by practicing, dancing, laughing, loving life, at the very least to counter all that turkey on the brain. One way you might do that if you are a local, is to join me at Yoga Pearl at 8:30am - 10am for a dedicated class to our digestive fire, and also paying our gratitude forward through a collaborative effort with The Flawless Foundation, a non-profit dedicated to seeing perfection in every child, and offering yoga to children who long for peace in their lives and have seldom tasted much of what we take for granted. Third: This Thanksgiving, like the last three, I will be teaching a class on Agni at Yoga Pearl. It is always fun, sweaty, unusual, and PACKED. If you are interested, you will want to sign up early, as it seems folks talk about it well into the new year and plan ahead for it come fall.. In addition to kindling our digestive fire for all those crazy relatives - to whom we are all related and of which we are a part - digestion is all about turning anything into nourishment…. and what better time to transform all that is -- crazy Aunt Bertha, Jello salad, and all the stuff we eat, drink, do and say -- transform all THAT into SUHweeeeeet Honey. Madhu as Madhu as Madhu as they say in the ancient yogic scriptures. Hope to see you on Thanksgiving at Yoga Pearl or somewhere in the ethers in the very near future. Until then. Love. Love. Love. P.S. It is that time again, Here's an idea if folks are already asking you what you want for Christmas.... what a BRILLIANT way to start the new year!